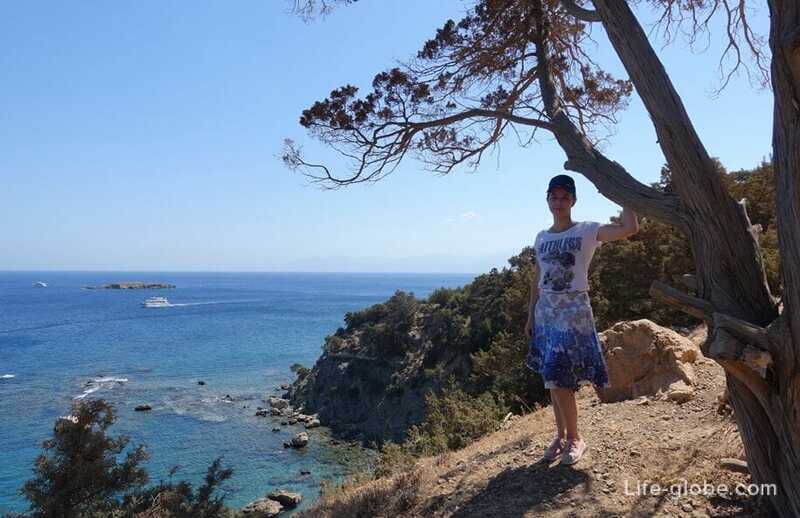 Akamas Peninsula national Park, which is a Cape with an area of 230 square kilometers, located in the North-Western tip of Cyprus (North of Paphos). At the southern end of the Peninsula is the town of Pegeia and on the North-East is the town of Polis. Due to the mountainous nature of the Peninsula on the Akamas Peninsula there are no roads, passing through his heart. In addition, some roads marked on Cypriot road maps of this area - not spread. In the heart of the Akamas there is no accommodation (hotels, apartments), cafes, restaurants and other infrastructure, as well as not serviced by public transport. The next space to accommodate the town of Polis and Latsi village. - as well as other less known but no less lovely places, for example, the Manolis Bay and Fontana Amorosa. The only bus that will take you to the baths of Aphrodite, on route 622, starting from the bus station in Polis. To go to the last stop. From the stop about 5 minutes walk to the baths. The bus runs from 06:00 to 18:00 hours, approximately every hour, journey time about 30 minutes. Passing on the road Е713: past the Western end of the beach Polis, coming past Latchi and goes along the coast Neo Chorio, Akamas. To the bus station of Polis can be reached from Paphos city (airport and downtown) and Coral Bay (Peyia). 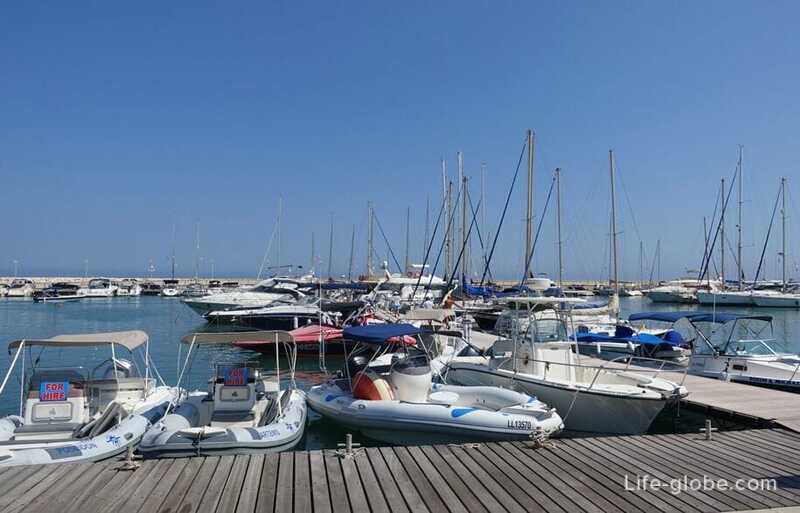 Read more about how to get from Paphos to Polis here. The fare is € 1.50. A day ticket is 5 Euro. Tickets are available from bus drivers. 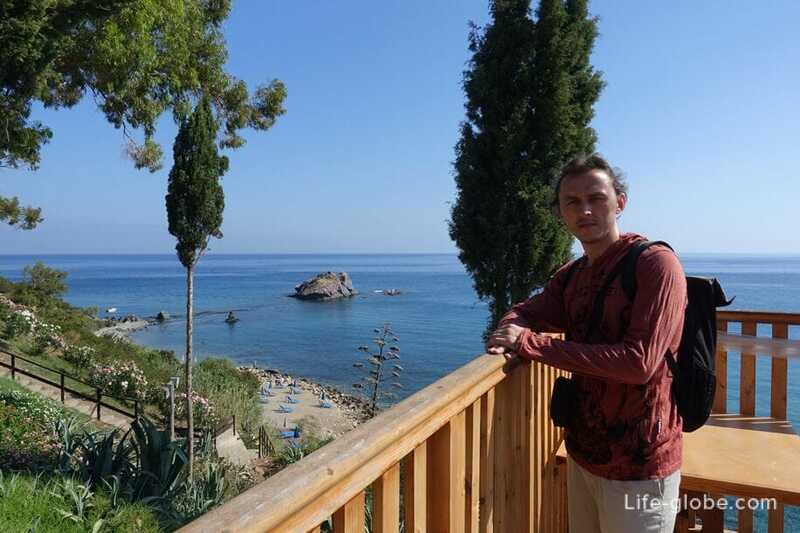 Near the baths of Aphrodite, from the sea, there is an observation deck, which offers stunning views of the Bay. At the observation deck of vidovo is a restaurant with a terrace. You can go down the stairs, and visit the beach, which is also called the beach of the baths of Aphrodite. For those wishing to sun loungers and parasols. 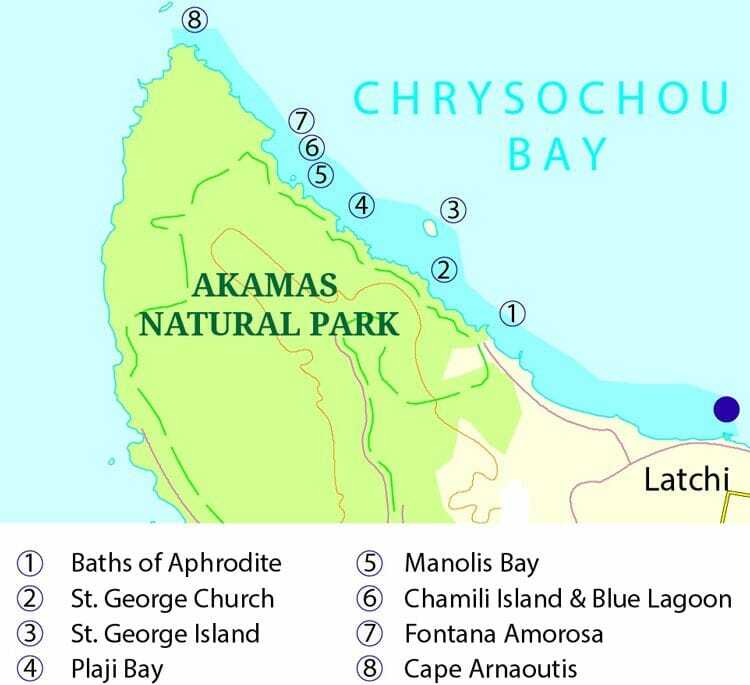 Next, from the baths of Aphrodite, North-West exit, you can go on foot along natural paths of Adonis and Aphrodite. And you can go along the coast and admiring the coast, walk to the Blue lagoon, Manolis Bay and open bay - Fontana Amorosa. Distance from the baths to the Blue lagoon is around 5.2 kilometers. 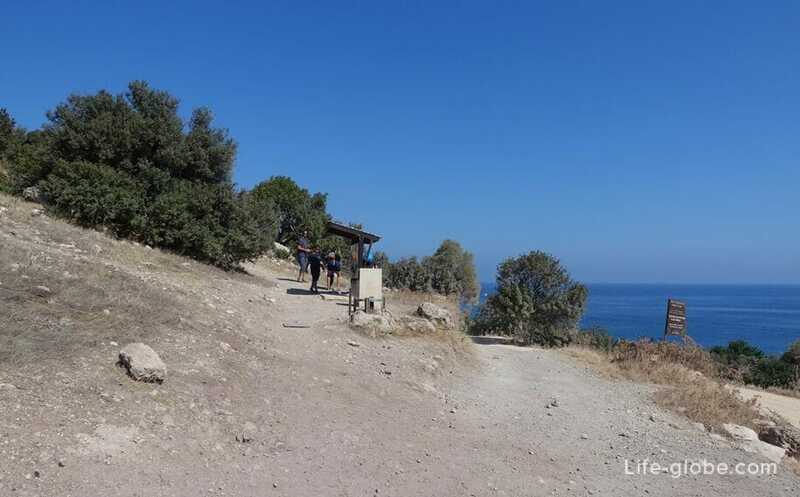 If you want to Hiking in the Akamas, you are advised to wear comfortable closed-toe shoes, a hat, closed and preferably loose clothing and(or) liberally apply sunscreen to exposed areas of the body (in the case of visiting in the hot summer months), to bring clean drinking water (lots of water) and some snacks (if desired). Sunscreen is better to be smeared in advance, on the Akamas Peninsula is very dusty, apply it to your dust-covered body is extremely uncomfortable. You can also bring sunscreen with you, and if you plan on swimming in the pond, you need a bathing suit. All things most convenient to fold into a backpack. Below the baths of Aphrodite, near bus stop, Parking where you can leave your car. On the car drive to Polis, on the road Е713 down to the sea, on the same road without turning anywhere, passing the village of Latsi, just rise up (rough guideline - Spa hotel Caprice Kosher Spa Resort, the coordinates 35.037650, 32.374845) and turn right (also on the way Е713), then all on the same road Е713 go directly to the Parking lot near the baths of Aphrodite. A good road, paved. If you go by car along the coast of Akamas, the car is rent high suspension, the type of jeep, albeit old, that's even better. The fact that no roads on the Akamas Peninsula, along the coast there are areas with potholes, pits and bumps. Many who decided to go on a normal passenger car, turn around, not breaking, and a third of the way. 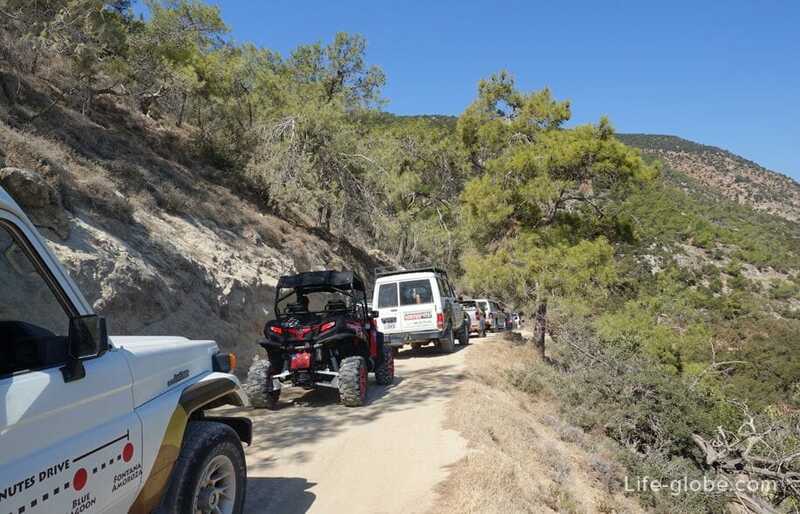 Quad bike and buggy are on the Akamas on cheers. Rent can be in any place, where you will find. 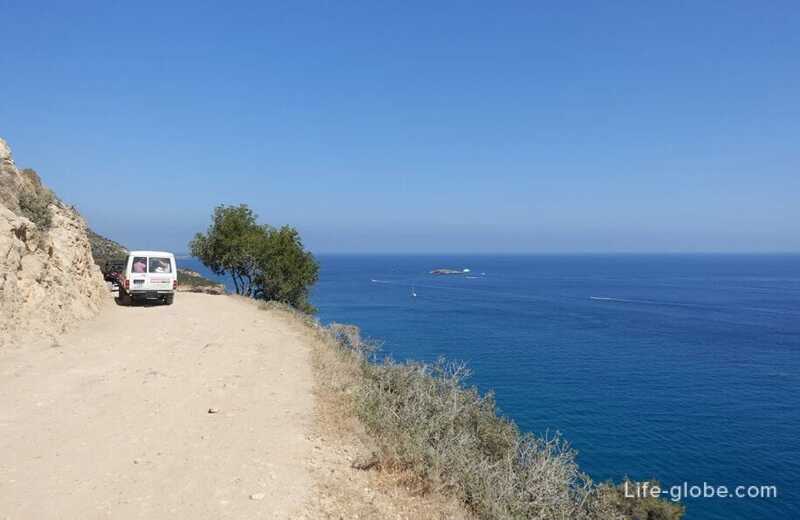 There is also the possibility to rent these types of transport directly Parking near the baths of Aphrodite, there is Agency, but prices are higher than in other areas of the island. Here you can buy a place in the General "truck", which will take you to Blue lagoon, Fontana Amoroza and back. Quad bikes, buggy, motorbike and Bicycle can be rented in the Polis. For example, on the road E713, before reaching the Western end of the beach of Polis, on the right side (the road), if you go towards the sea, is the office of rental vehicles. 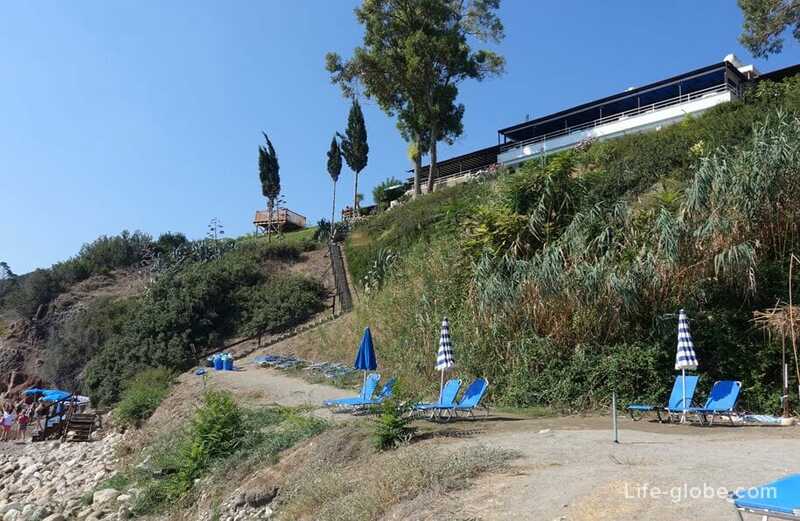 The prices here are lower than in the heart of the Akamas Peninsula, starting from 80 Euros per day. Bike for trips along the Akamas need no ordinary city, and specialized (mountain). In the same office, you can rent bicycles. Value of from 8 - 25 Euro per day. Here you can leave your car, if you come to such, to rent a buggy or other vehicle, go on it to the Akamas, and came back again seats in your car. The website of the company. 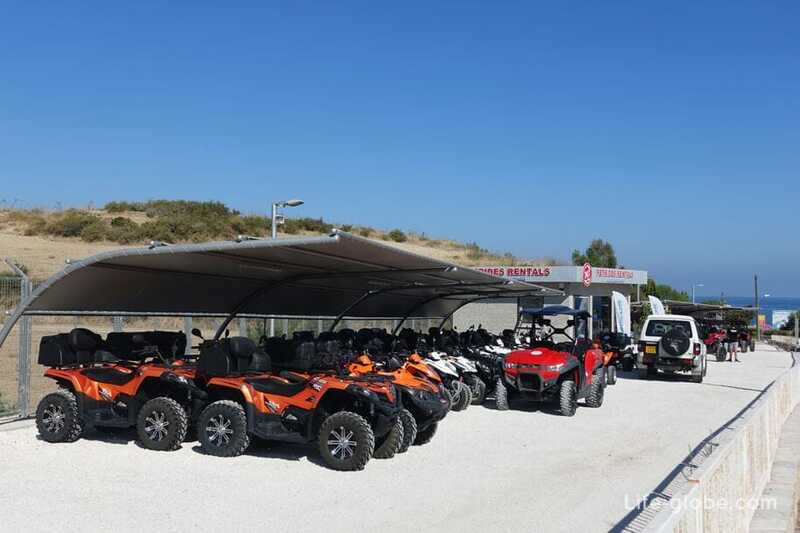 Buggies and quad bikes can also be rented near the pier in Latchi, the price is more expensive. Site. Visit the Akamas can be one of the excursions. There are tours, both by land on the SUV or quad bikes (safari tours) and at sea on boats and yachts. 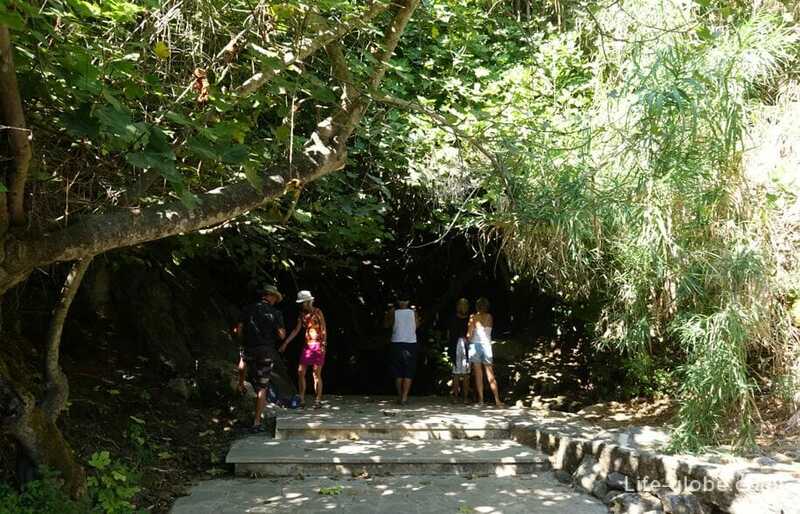 The abundance of excursions to the Akamas offers in Paphos and Latsi - a tourist village near Polis. 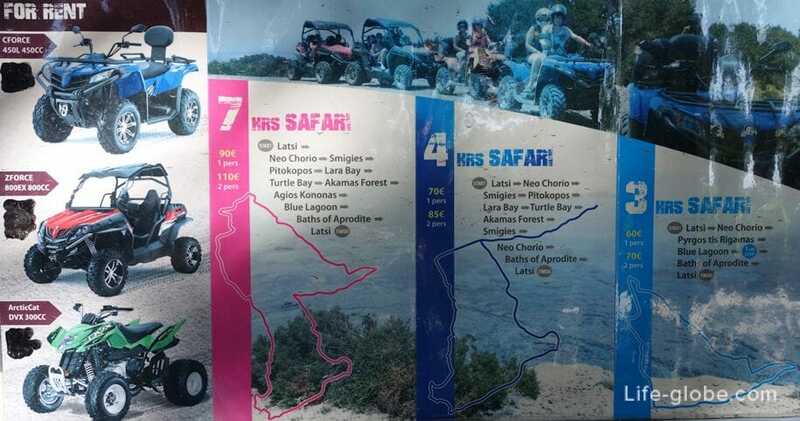 Safari jeep through the Akamas from Paphos is something like 55 Euros. 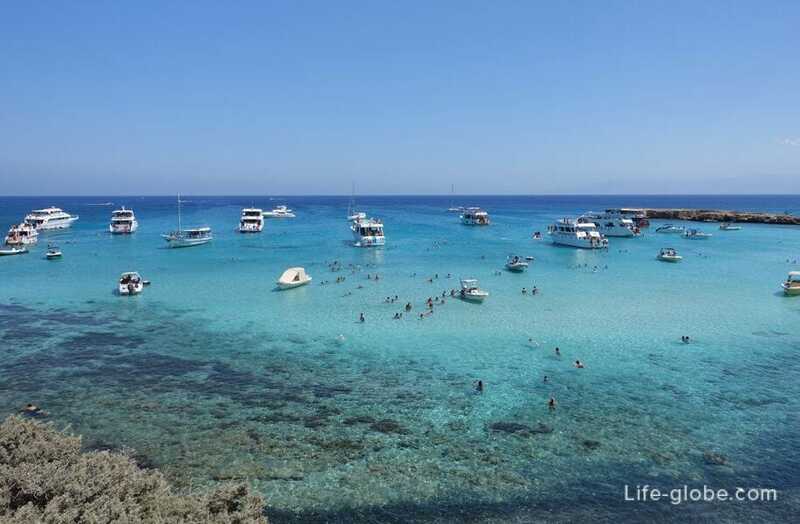 From Paphos you can also take a tour of the sea with its Blue lagoons and(or) other lagoons of the Akamas. Rent a boat with skipper or a boat in Latsi. 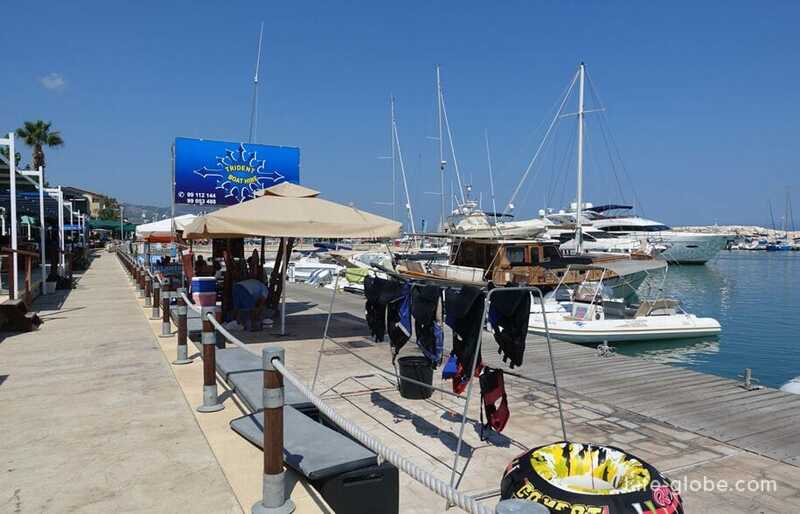 In the harbour of Latsi involves a lot of cruises, both individual and group, for example, a mini-cruise along the North coast of Akamas. 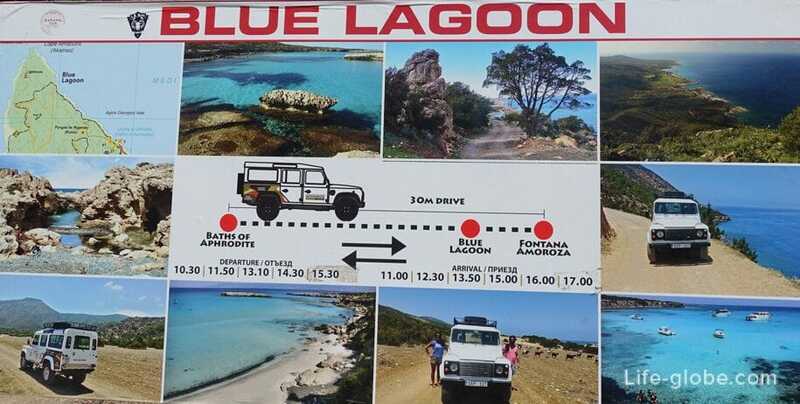 You can only visit the Blue lagoon or other places of the North coast of the Akamas, with the possibility of swimming where you want, in case of leasing of individual boats. The value of 2.5-hour group mini-cruise from 20 € - adult (from 15 with advance booking) and from € 10 - children's tickets. 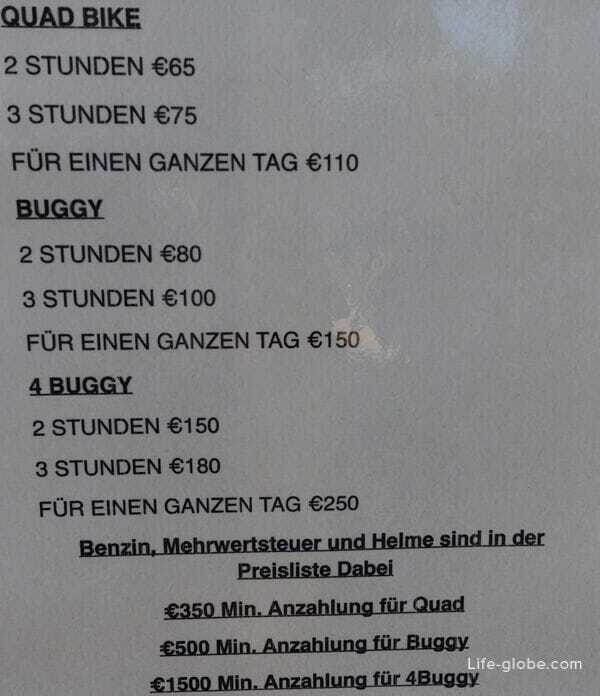 The cost of 4-4,5-hour group cruise: € 25 adult, € 20 children's tickets. There are cruises by day or morning and evening (at sunset). Depending on the cruise, on board drinks and fruits, yogurt, wine, beer and barbecue, salads, couscous and snacks.